Kure is a small port town located about 45 minutes south of Hiroshima. It isn’t a popular destination but it is a nice little port town that I had wanted to visit for a while now. 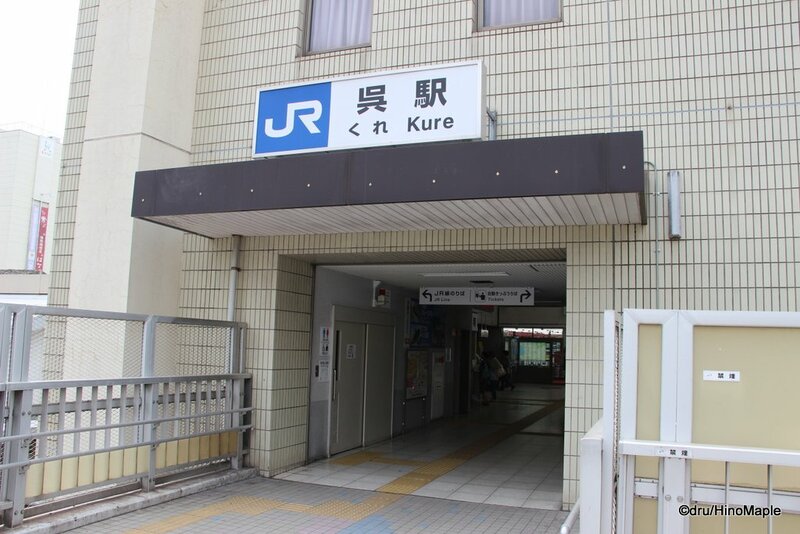 I tried to visit Kure a couple years ago but that was cancelled due to a severe thunderstorm along the line which meant landslides were possible and the train line was shut down. This time, I started my journey from Saijo and went straight to Kure. It was an easy trip, but standing for 45 minutes was not so fun. The train reminded me a little of my trip from Sapporo to Otaru but the view of the Seto Inland Sea was not as good; the view of the Sea of Japan was better in Hokkaido. The train is pretty quick to get to and from Kure but the track feels more rural than the Saijo section. When you get to Kure, there is only one exit and once you get out you are effectively inside a department store. Due to my time restrictions, I didn’t have much time to do anything. I arrived around 2pm and was starving so I headed straight to the Navy’s Beer Shop (Kaigunsan no Beer), a brew pub operated by Kure Beer. 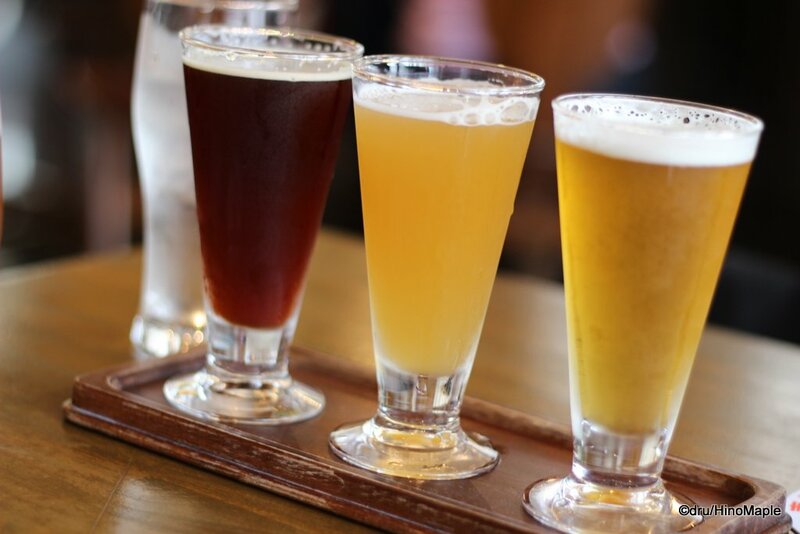 Kure Beer is a local beer that is doing a few interesting things with their beer and I had a great time just relaxing and enjoying the local brews and the decent food. I spent a little too much time at the Navy’s Beer Shop as I didn’t have enough time to do everything in Kure. When I finished at the restaurant, I headed straight to the port. It isn’t too hard from the Navy’s Beer Shop as you just follow the river to the sea. 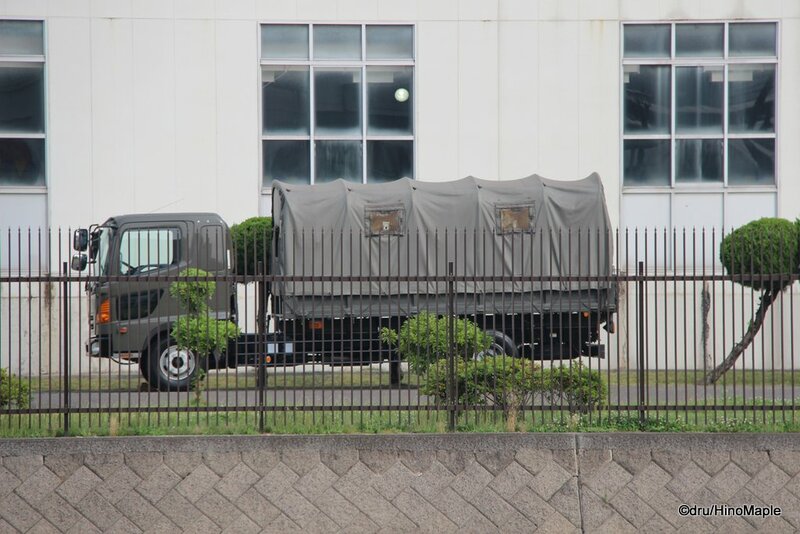 As you continue along the river, you are next to the Japan Maritime Self Defense Force. The JMSDF has a base located just next to the port and you can see some of the naval officers walking around in the town. To be honest, a lot of them looked like little kids rather than hearty naval officers. Once you get to the port, you can enjoy the magnificent views of the Seto Inland Sea. 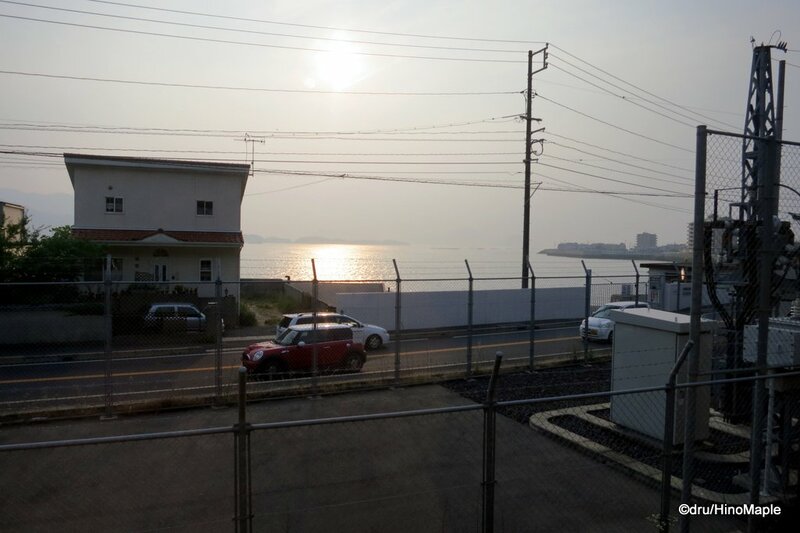 You can see the Japan Marine United shipbuilding yard just across the harbour and you can just soak up the beautiful views. It reminded me a little of Uno in Okayama and the ferry ride from Uno to Takamatsu. 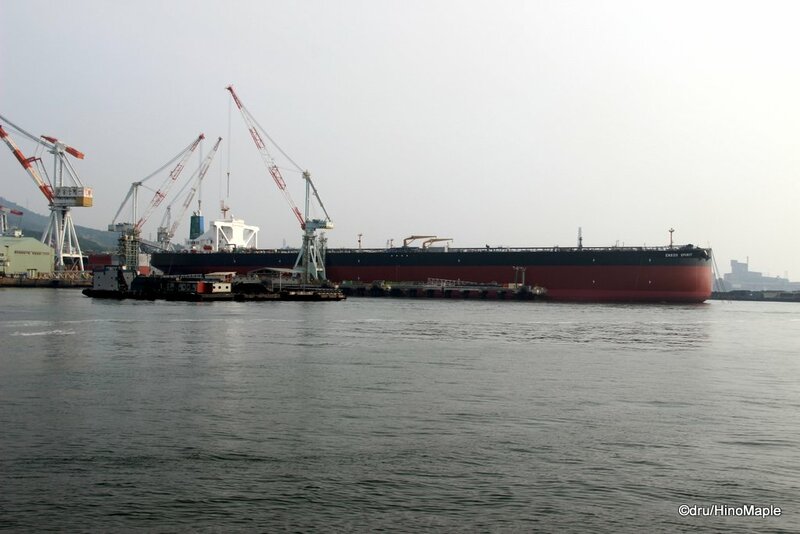 There is another shipbuilding yard near Uno and you can enjoy seeing the newly floated shops docked at the shipyard. There are 2 major museums in Kure. 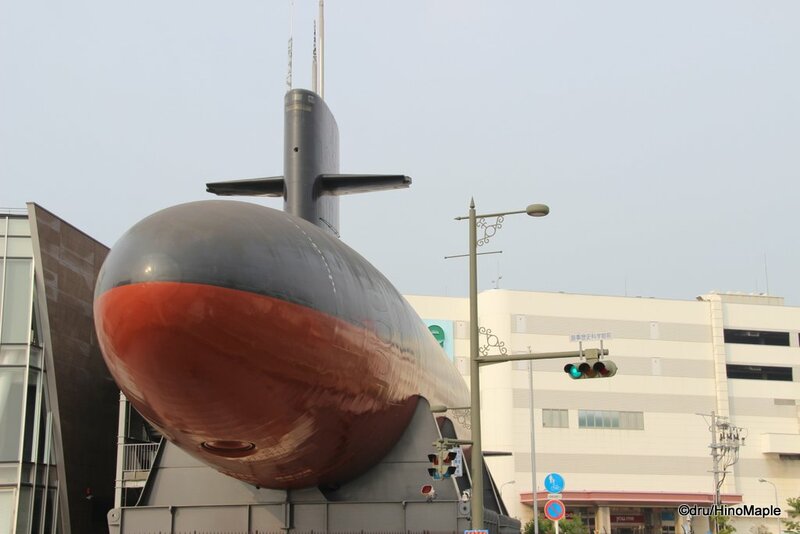 There is the JMSDF museum which takes a large submarine and converted it into a museum. There is also the Yamato Museum. I did the wrong thing by going to the Yamato Museum first instead of the JMSDF museum. If you have a choice, go to the JMSDF museum as they close earlier. I couldn’t go inside as they just closed when I got there. The Yamato Museum is a nice place to visit and I don’t regret going there. 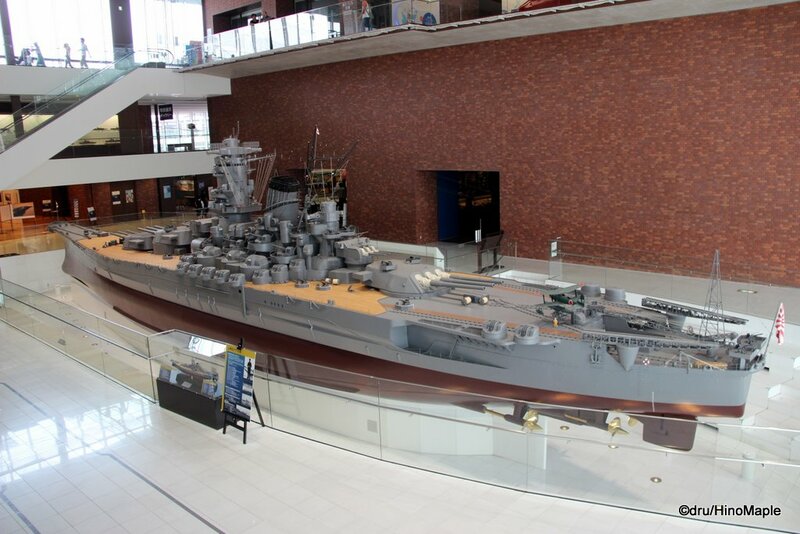 It is a large building with a scale model of the battleship Yamato. I really enjoyed seeing the model and walking around it. I never knew battleships actually had a launch pad for planes in that time. I’m not sure if they could also return but they were definitely launched from the deck of the ship. There was also a model of the famed Zero from Mitsubishi among other displays. The Yamato Museum is a great place to visit but if you don’t speak, rather read, Japanese, you won’t be able to understand a lot of it. If you just want to see some scale models of various historical battleships and naval ships of the Japanese Imperial Navy, then you will enjoy this museum. Kure is not for the regular visitor. I really enjoyed the quiet town aspect of Kure and the fact that it is a short trip from Hiroshima. I will have to return again to see the JMSDF museum and maybe check out a few other things around the town too. I feel as if I only got a taste of what was there and didn’t really get under the surface. I didn’t really have time as I had to return to Hiroshima by 7pm to meet with another friend for dinner. Let’s just say, I barely made it back in time for the shenanigans. 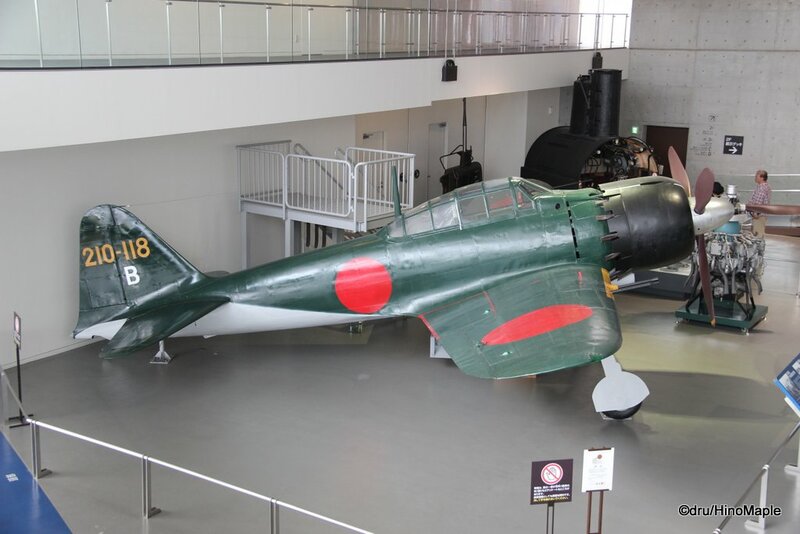 This entry was posted in Chugoku and tagged Hiroshima, japan, Japan Maritime Self Defense Force, Japan Self Defense Force, JMSDF, Kaigun no Beer, Kaigunsan no Beer, Kure, Kure Beer, Navy's Beer Shop, Self Defense Force, Seto Inland Sea, Seto Naikai, Yamato, Yamato Museum, Zero, Zero Fighter by Dru. Bookmark the permalink.